After well over three years of the launch of The Sony PlayStation 4, Sony came up with the Sony PlayStation 4 Slim. 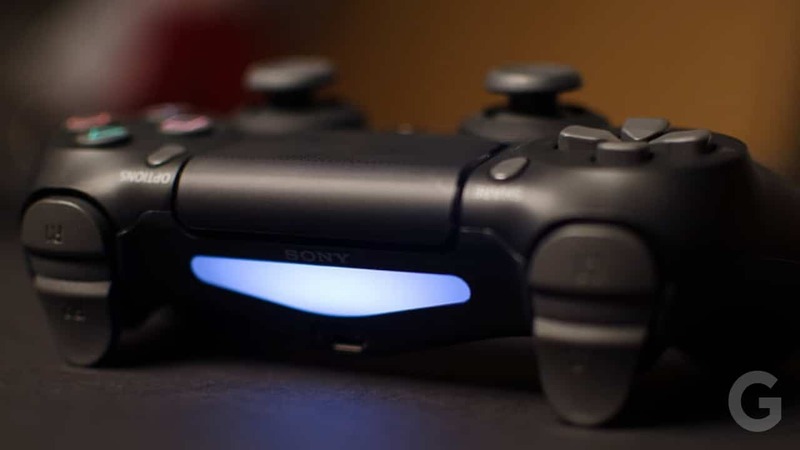 The new console has given the aging PS4 a new lease on life. The Sony PS4 Slim represents the new standard PlayStation 4 console. 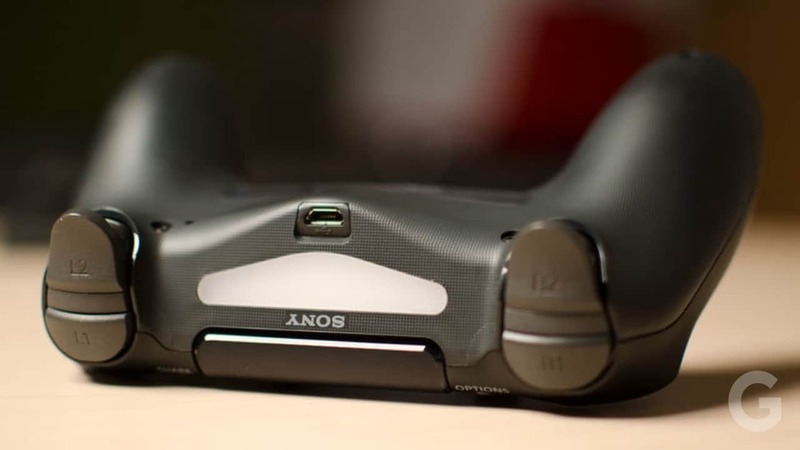 This model is not much of a change to the original Sony PS4 in terms of functionality. However, physically it is a complete makeover to the original release. It has a slimmer look and has hardware revamp that incorporates a makeover of both console and controller. Sony currently has not one but three new PlayStation devices, namely, PS4 Slim, PS4 Pro, and PSVR. The Pro version is a 4K-compatible version of the PS4 and the PSVR is a VR headset that works in any PlayStation devices. You can find out more about the PS4 Slim’s design, features, specifications, controller, performance, price range and more in the Sony PlayStation 4 Slim Review and Specifications. This score is given after in-depth analysis and going through of the product by our experts. The Pros and Cons are also mentioned. If something is missing in the Sony PlayStation 4 Slim Review And Specification then feel free to add them in the comment section below. It has a very fast Wi-Fi. It's easier to expand the HDD space. It has a smaller chassis. It is also very affordable. It's Controller's Analogue Sticks are not durable. It doesn't come with an optical port. It is not very powerful as compared to other PS4 models. It does not have a 4K Blu-ray Player. 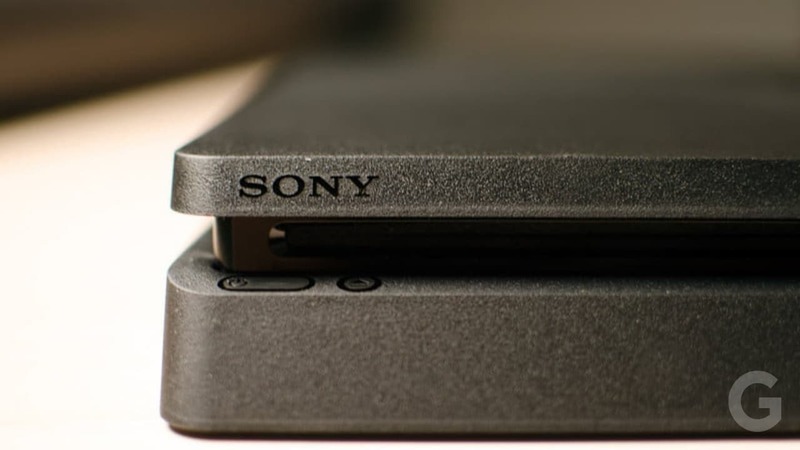 Sony has given the Slim version a complete makeover physically to the original PlayStation 4 version. This refreshed console has a slimmer new look, a few new features, and even some minor internal upgrades. One of the most important elements of change from the previous version is its processing power. The feel of its controller in your hand also might differ to the previous controller. However, the library of games available on the PlayStation Store has not changed. The Sony PlayStation 4 Slim is built in a way that makes it appear underwhelming in comparison to the PS4 Pro. The PS4 Pro boasts a significant boost to performance, 4K gaming and even frame rate improvements for existing games, making the Slim the lesser (but cheaper) console. The PS4 Slim is mainly designed more to lure in players who haven’t bought a modern console yet than to appeal current PS4 owners. while there’s no 4K Blu-ray player or bump in-game performance to shout about unlike with the Xbox One S. It is quieter, slimmer and less power hungry than its older brothers, making it a decent upgrade to the original PS4. The new Sony PlayStation 4 Slim is considerably smaller than the original PlayStation 4. It is measured at to 26.5 x 26.5 x 3.8 cm, roughly a third smaller. It’s also a bit lighter than the original version. It weighs 4.6 pounds as compared to the original one’s 6.2 pounds. 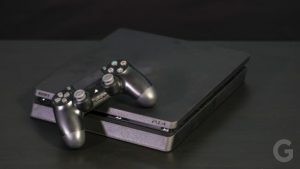 The PS4 Slim has the same matte black finish as the original version but it has dropped the colored light bar indicator in favor of small illuminated dots over the power button. 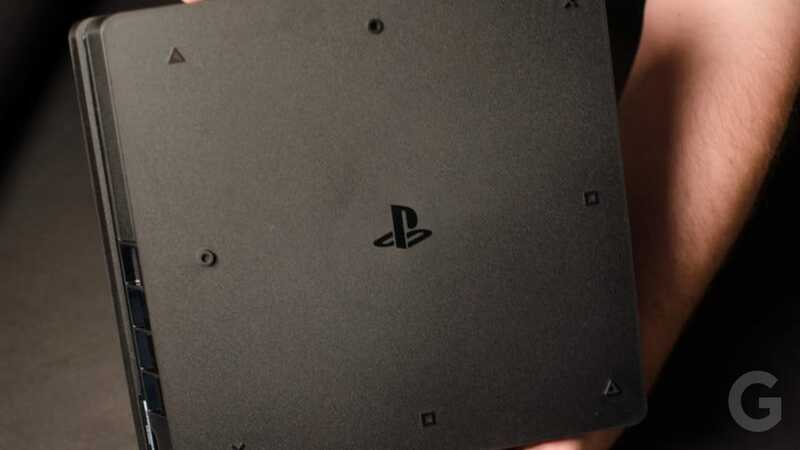 Just like the other PS4 models, it comes with two US ports that sit on the front of the PlayStation 4 Slim. 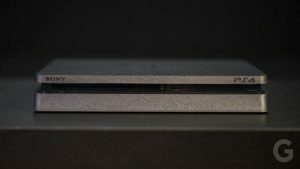 On top, the console is branded with the PlayStation logo. Underneath, the console rests on “feet” shaped like the triangles, circles, and exes found on the console’s buttons. The only major casualty of the slimmed-down design is the Optical Out port on the rear. It’s a big miss for the ones hooking up older home cinema receivers or souped-up gaming headsets. The new Sony PlayStation 4 Slim might feel slightly different individually but together they make the Slim version feel self-serious than the original model. It is meant to be played wit and not for the purpose of doing business. On the front of the hardware, the two USB 3.0 ports have been spaced out, with one sitting on the far right and the other just next to the disc tray. It’s annoying that there’s still no rear-facing USB port, as having devices such as an external storage drive or PSVR headset plugged in permanently which make the new, slimmer PS4 look untidy. The right side of the console once again features the iconic square, circle, triangle, and cross, but the circle is hollow to allow for the vertical stand needed if you want to place the console upright. 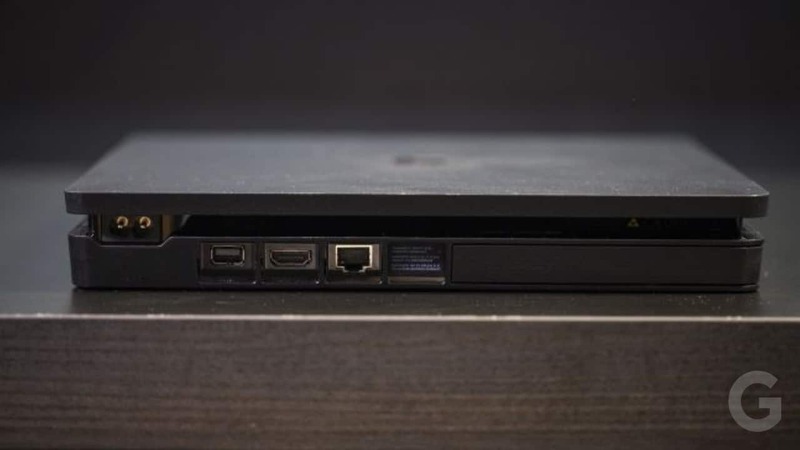 On the back of the console, there are same ports, the HDMI, Power, Aux for the PlayStation Camera and Ethernet, but the optical has been scrapped. There’s also a new slot on the back-right of the console that allows much easier access to the hard drive, for those wishing to upgrade. 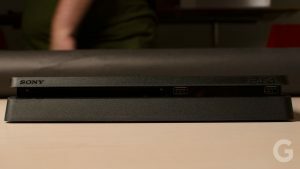 The Sony PlayStation 4 Slim Specifications are exactly the same as the original PS4 version. However, it has upgraded Wi-Fi compatibility. It now supports 802.11ac Wi-Fi, which should lead to faster download speeds and more stability playing online for those whose routers support it. There is a new slot on the back-right of the console that allows much easier access to the hard drive, for those wishing to upgrade. A simple pinch on the cornered slot will reveal a small piece of tape which looks like film leaking from a camera and by unscrewing a single screw, you can effortlessly slide out the pre-installed SATA hard disk and replace it with another. The console runs very quietly, except when you put a disc in for the first time. The spinning disc is noisy and creates a noticeable vibration. The ones picking up the 500GB model and anyone who already has a 500GB PS4 will know how quickly space runs out. Every game you play is automatically installed on the replaceable 500GB hard drive, but you can still play the game while it loads. Once the install is done, you just need the disc in the drive whenever you want to play, for authentication. After installing the newest updates, you will only have about 375GB left, though. 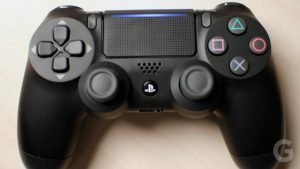 The new Sony PlayStation 4 Slim Controller has also received a slight makeover to the older Sony PlayStation 4 original version. 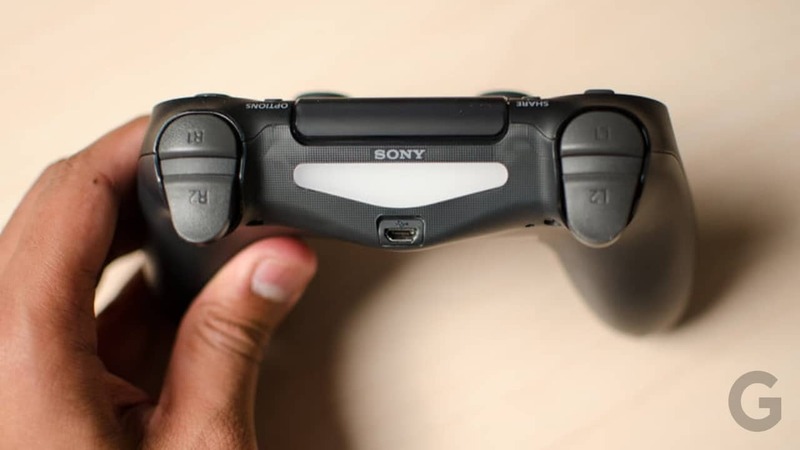 The analog sticks, face buttons, Options/Share buttons, and D-pad have been given a new grey tone to contrast with the black of the controller. The touchpad is now translucent at the top, allowing a bar of light The touchpad is now translucent, allowing a bar of light to pass through from the lightbar on the back of the controller. This makes it easier for players to see which color they are in multiplayer matches, but also lights some of the lightbar effects to be seen by those holding the controller. While one won’t notice the change too often unless he/she routinely holds the controller in front of their faces, it does provide easier access to the light at a glance. Overall, other than these few tweaks the PS4 Slim Controller has the same functionalities as the original one. The Sony PlayStation 4 Slim Console is almost identical to the PS4 in performance aspects. There may be a slight improvement in UI responsiveness, but that could equally be down to the older console having been jammed full of games and years of use, whereas the newer machine was relatively box fresh. It is a top-notch gaming machine, running most games at a tight 1080p/30ps, and many at 1080p/60fps. In comparison to the well-launched edition of the PS4, the PS4 Slim fan noise is noticeably quieter when in use. However, the disc drive spins up making a lot of noise when you either install a game or the Blu-Ray or DVD is playing. The PS4 Slim stands tall against its predecessor, it doesn’t compare as favorably against the Xbox One S, which offers upgraded 4K upscaling alongside its similarly slimmed-down proportions. However, the Sony console does at least support HDR visuals, which have now been added via a software update. The Sony PlayStation 4 Slim is priced at $300. If you want to go for a console built solely for gaming purpose then the Slim is the one you are looking for. But, if you add $100 more then you can get the Sony PlayStation 4 Pro. It is an upgraded version of the original PS4. 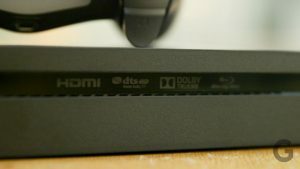 If you want to go for even better Gaming Console then the Xbox One X is another alternative you can go for. The Xbox One X is priced at around $500. 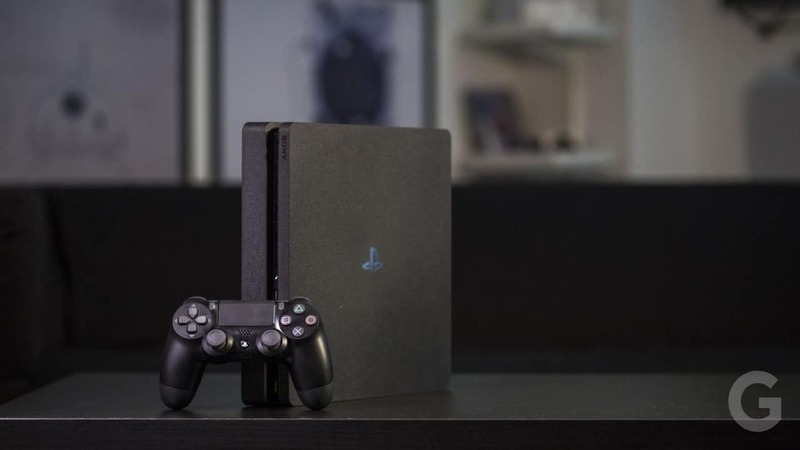 🏆 If you have used or if you are using this gaming console, please leave your Sony PlayStation 4 Slim review in the comments below and help our readers choose.